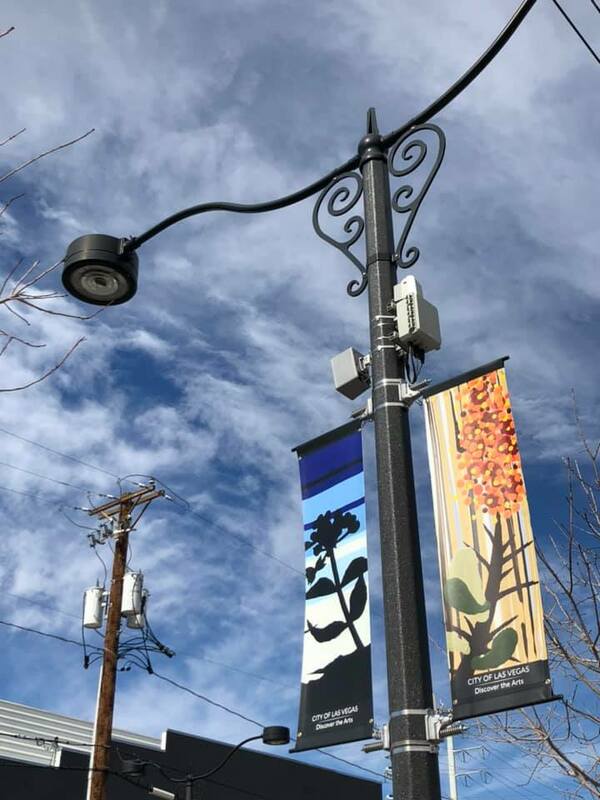 Stroll down Main Street in the City of Las Vegas Arts District and you’ll find artwork from the College of Southern Nevada. 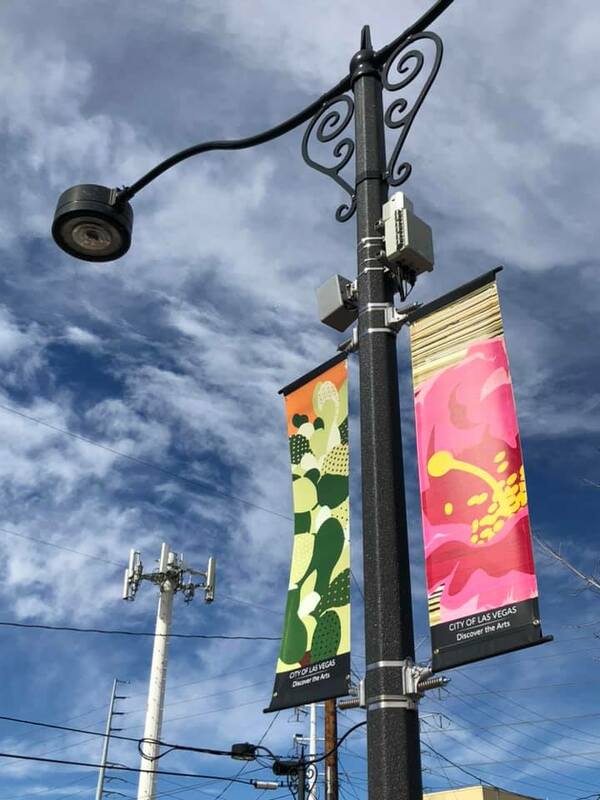 Jeff Fulmer, CSN’s gallery coordinator and a part-time adjunct faculty member, was one of 10 artists whose work was recently displayed on light posts downtown as aerial banners. 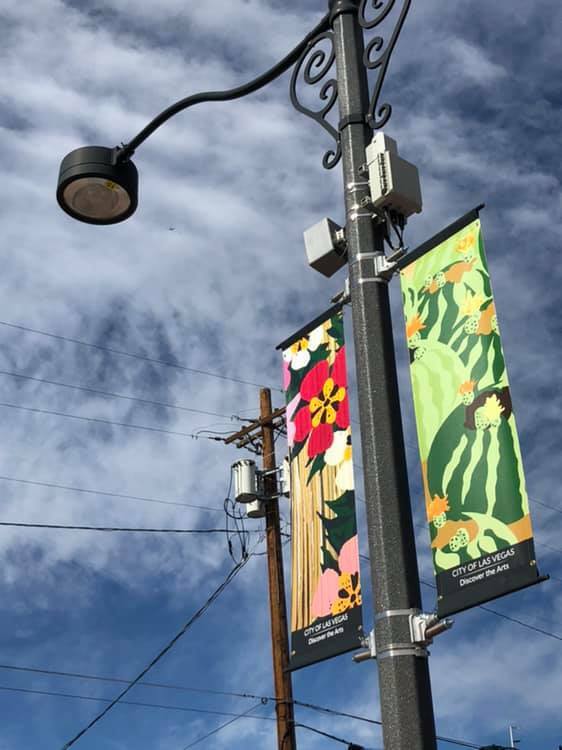 Based on plant species and the desert landscape, the abstract and acrylic painting can be found on First Street near Gass Avenue. The banners were adapted from artwork Fulmer showcased last summer. “I had all this new work and I wanted to make it go as far as I could,” he said. This is the second time Fulmer’s work has been chosen by Las Vegas officials. The first was back in 2000, when the program launched. His work will hang for about a year, until the city seeks new submissions. “Most cities you go to have some sort of decoration and quirkiness and public art, and Las Vegas is finally moving more and more in that direction,” Fulmer said. At CSN, Fulmer is responsible for CSN’s two main art galleries – both on the North Las Vegas Campus, and the rest of the public artwork hanging through all three campuses. He’s working to expand galleries, including showcasing more student work throughout the college. “We want to try to convert hallways where students study or hang out into informal galleries,” he said. Fulmer studied sculpture, art theory, and graphic design and received his MFA from UNLV in 2000. In 1997, he earned his BA from Wabash College in Crawfordsville, Indiana, with concentrations in painting and drawing. For more on CSN’s Department of Fine Arts, visit https://www.csn.edu/departments/fine-arts.